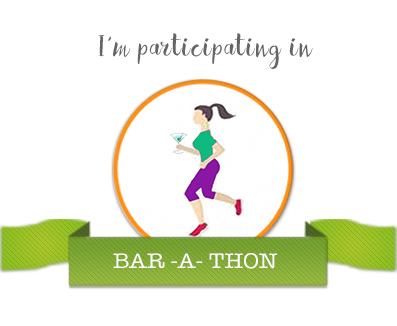 Participating in #BARaThon challenge by blog-a-rhythm. Raajyam loves sweets and never missed a chance to savour sweets made with ghee for every small occasion until she found herself diabetic and hospitalized for a few days due to high sugar levels. Since her husband and son were very strict about her health, she couldn’t satisfy her craving for sweets. When her daughter in law prepared Gulab jamun, she decided to have it at any cost. The sweet smell of gulab jamun offered as prasadam filled in the pooja room increasing her craving on that day. While she tiptoed to taste one jamun unnoticed, she caught red-handed by his son who is observing her at the door. 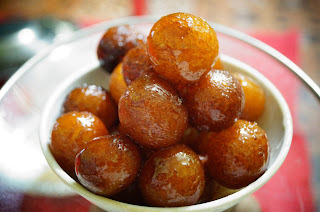 Her daughter in law came with a bowl of gulab jamuns and said with a smile, "I prepared it with sugar-free ingredients athayya, please have it." Gulab jamun...who could resist that ??? I can;t really blame her...gulab jamuns....yum!! How sweet the DIL is .... Nice take on the prompt, Ramya !!! It is hard to be diabetic and have to watch everyone else eat yummy sweets (my Dad was diabetic.) It can be so hard to control sugar, too. Hurray for artificial sweeteners.